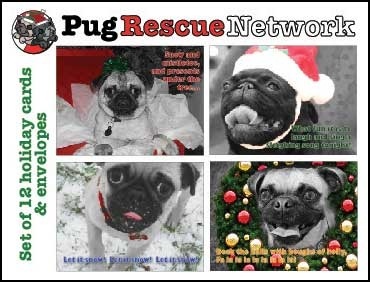 12 pug Christmas cards with envelopes. 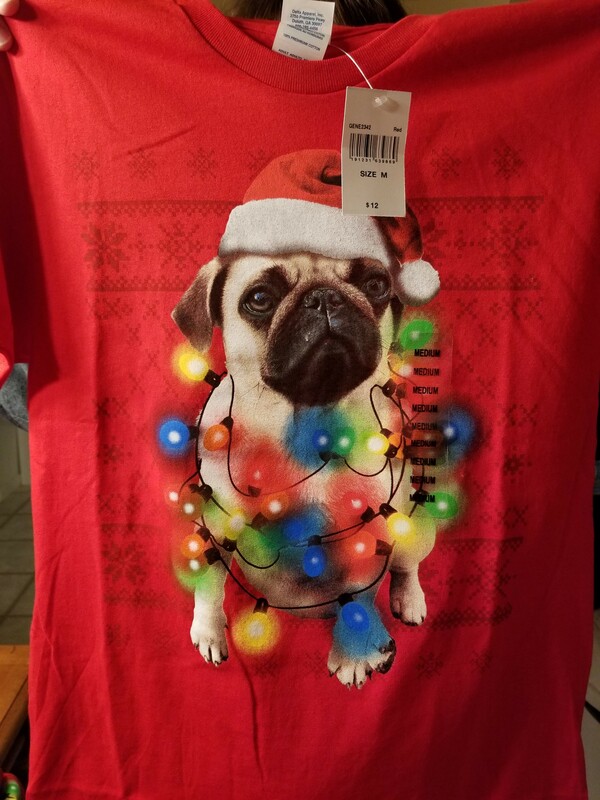 The inside says: "A Christmas wish all wrapped and tied especially for you. 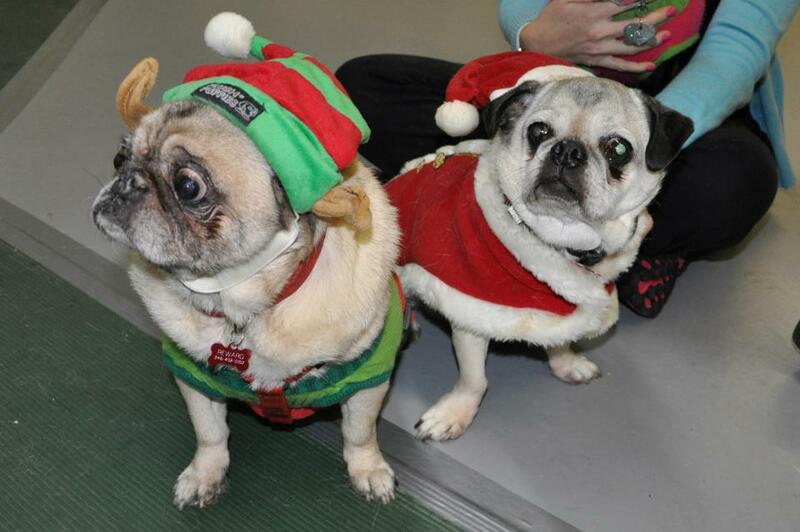 Hope your holidays are happy and your New Year's perfect too!" 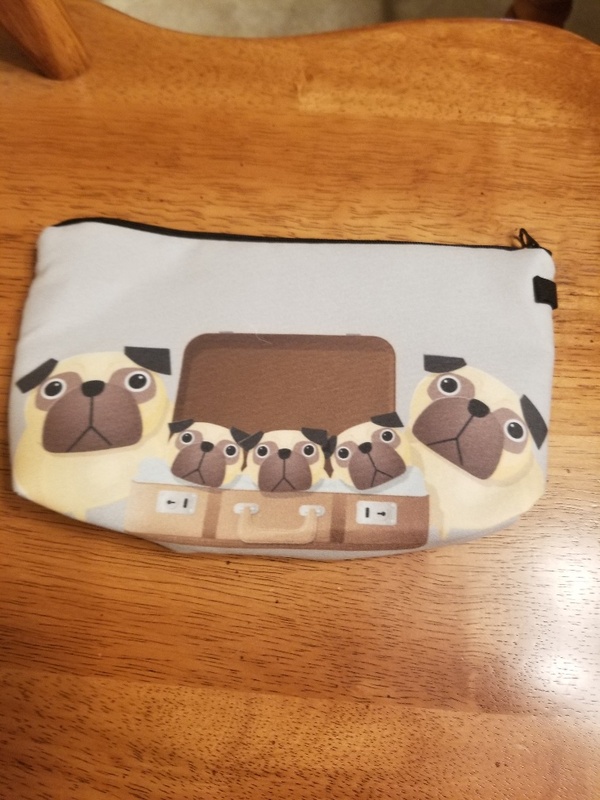 Free shipping USA only! 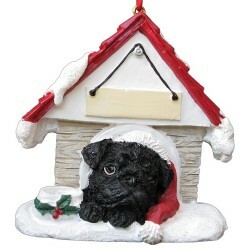 Black pug doghouse ornament. 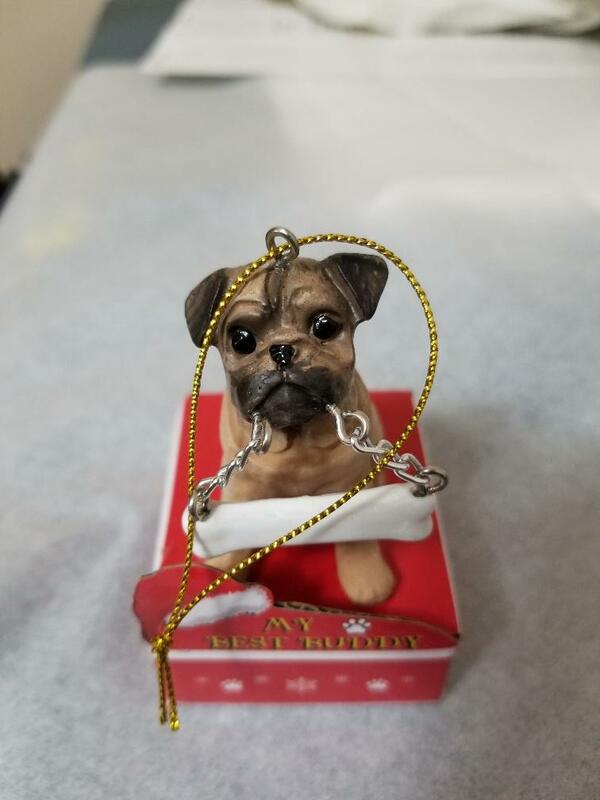 Measures 3" tall and 3" wide and you can write your pugs name on the ornament just below the peak of the roof to customize this ornament. This is also a magnet for your fridge. 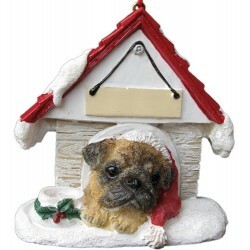 Fawn pug doghouse ornament. 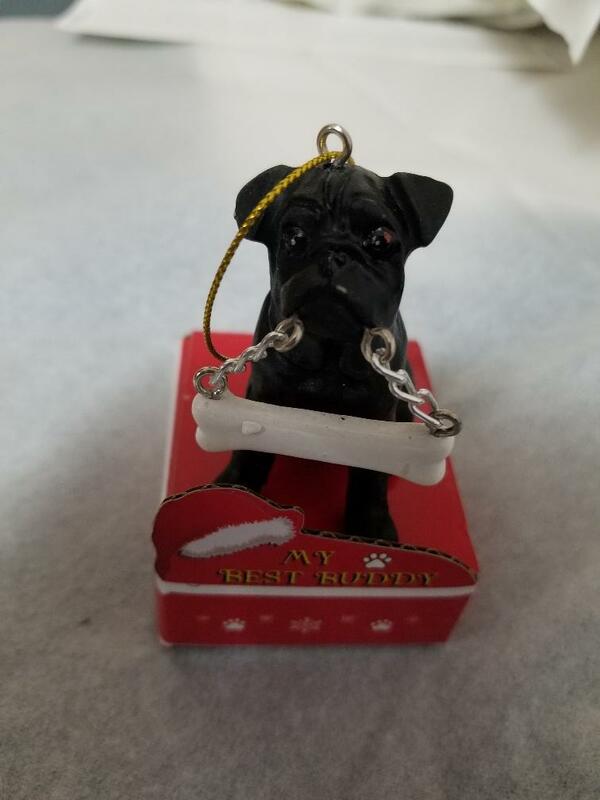 Measures 3" tall and 3" wide and you can write your pugs name on the ornament just below the peak of the roof to customize this ornament.This is also a magnet for your fridge. These beautiful ornaments are hand painted. The Dog is holding a bone hanging from it's mouth that can be personalized with a sharpie . 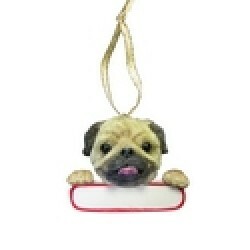 The ornaments are beautifully packaged, great for gift giving. 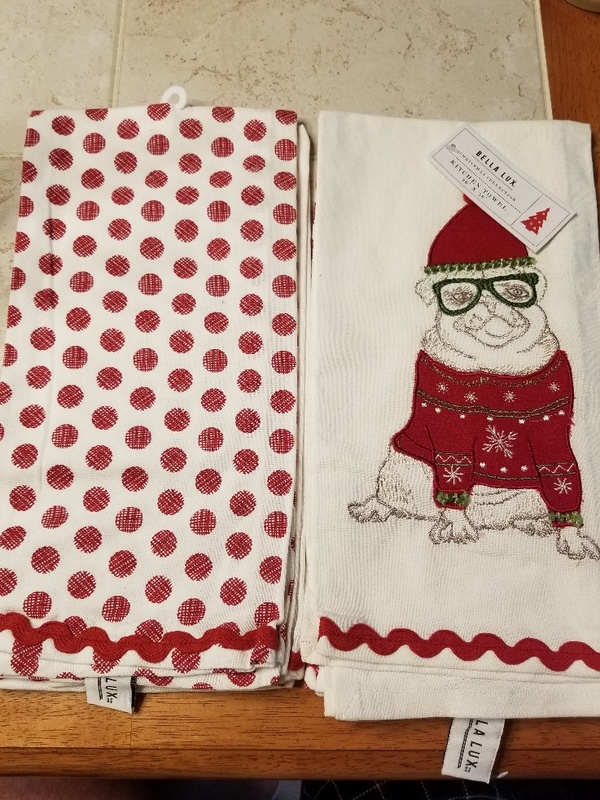 They measure 3” tall. 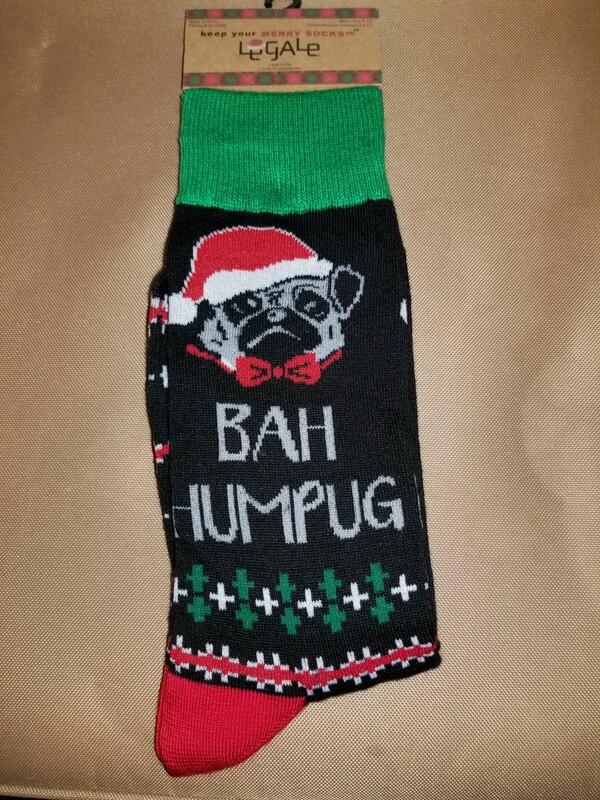 Holiday Time Bah Hum Pug Beanie Hat With Poms. Not for children under 12 years old. 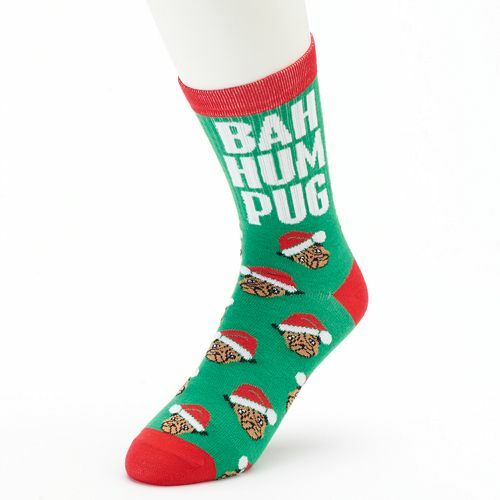 Free shipping USA only.